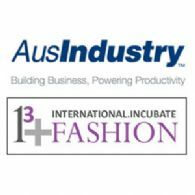 Perth, Aug 24, 2011 (Global Fashion Wire) - The Third International Conference of Fashion Incubators will be held at the Parmelia Hilton in Perth, Western Australia from the 11th until the 13th of September 2011, and AusIndustry has confirmed it will be exhibiting at the event. AusIndustry is a specialist program delivery division within the Department of Innovation, Industry, Science and Research and delivers many business programs worth about A$2 billion each year. AusIndustry has customer service managers in more than 20 offices across Australia, including 15 regional offices. AusIndustry has a long-standing relationship with Australian business with more than 15 years' experience in dealing with business and business issues. AusIndustry has a number of programs for Textile Clothing and Footwear businesses, Australian manufacturers and those who design or manufacture in Australia including: Clothing and Household Textile Building Innovative Capability Scheme; TCF Corporate Wear Register; TCF Strategic Capability Program; TCF Small Business Program and the Tradex program. Conference Convenor of the Third International Conference of Fashion Incubators Carol Hanlon said, "AusIndustry are a key source of information and referral over a range of business areas. They work across all levels of government and reach even the most remote areas of Australia. We are excited to have them exhibiting at our international conference in Perth."